This heavy bit bracelet is a real stunner. 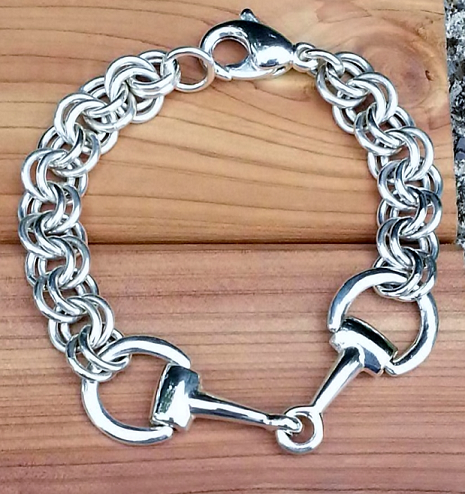 Elegant and classic, a great design for the lovely equestrian in your life. Made of solid Sterling Silver this bracelet will last a lifetime.